Are your grout lines Dirty? Just like carpet, dirt builds up over time, dulling the appearance of your tile and grout. Microscopic pores allow contaminates and dirt to become trapped below the surface, where they cannot be removed with just mopping. 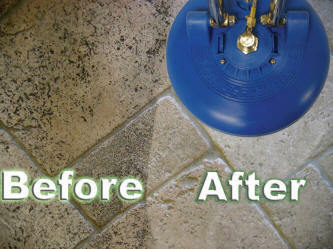 Our high pressure cleaning removes the stuck-in dirt that lies within the pores of your grout lines.